No video or audio, nope. And it doesn’t create crisply compressed little JPEG files. But perhaps the biggest news of all about the Leica M-D is it has no rear LCD screen to check focus, histograms or results. If this prologue sounds like I’m getting ready to bash this Leica, be assured that’s not the case. I really like this camera. I’ll go into detail later, of course, but here are the three reasons every photographer should feel the same way I do. It produces exceptionally high quality images. 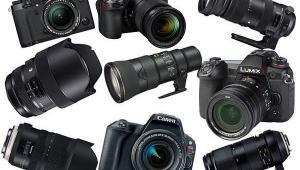 It forces the user to rely on the fundamental photography skills normally honed by shooting film. 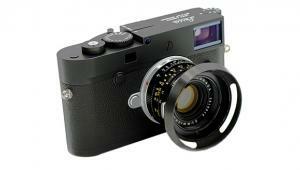 It uses classic, 60-year-old Leica M-mount lenses without modification. After 20 years of using cameras with LCD monitors on their backs, I thought it would require a special mindset to pursue serious photography with a camera that does not have a rear screen. Has it really been 20 years? Incredibly, yes. I was with Minolta in 1995 when we unveiled the esteemed RD-175. Although I still shot film after that, my heart and soul—not to mention my occupation and income—were in orbit exclusively around digital photography. In college I used two cameras, a Leica IIIa (Model C) and a two-stroke Leica M3. Although I’m spoiled now by the immediate feedback I get from my cameras’ LCDs, back in those days I had to wait a week or longer before I could develop my Tri-X (or even longer when I sent Kodachrome to Rochester for processing). In other words, shooting the Leica M-D and not being able to check results right away on an LCD felt very familiar—and strangely good! 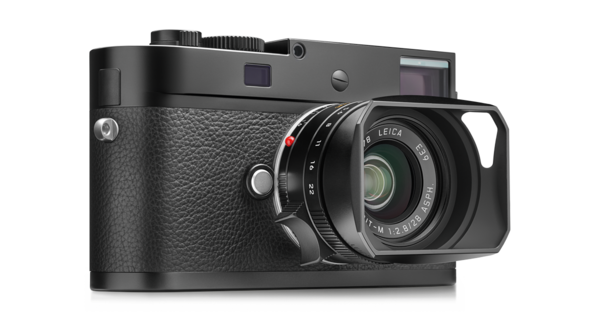 The Leica M-D is a full-frame digital rangefinder camera with a magnesium/aluminum body, brass top panel and baseplate, and a black lacquered finish. 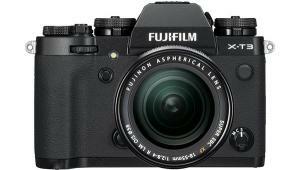 It weights 24 ounces (680 grams) with battery and it looks, feels and to a large extent, handles, like a classic Leica 35mm film rangefinder camera. The family resemblance is unmistakable with one notable exception: whereas most film Leicas were emblazoned with a proud Leica or Leitz logo, the M-D has no Leica badge. The company's rationale is that the traditional bright red logo button is so overt and identifiable that it could attract unwanted attention to a street photographer. In reality, the iconic and recognizable outline of the Leica belies that theory, but the characteristic shape is something you do not want to forgo. 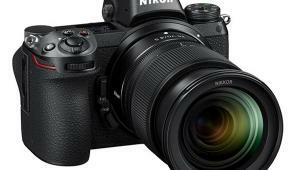 The image sensor is a 24-megapixel Leica full-frame CMOS chip that delivers resolution of 5976 x 3992 pixels and is administered by Leica’s proprietary Maestro image processor. Images are saved as DNG files and only as DNG files. No JPEGs, no video clips. No audio or video period. Focusing is accomplished using a long (47.1mm) rangefinder base and a superimposed, convergent-image-type rangefinder. Bright-line frames are displayed in pairs for 35mm and 135mm lenses, for 28mm and 90mm lenses, and for 50mm and 75mm. The frames can be activated manually and popup automatically when the corresponding lens is attached. At a focusing distance of about six feet, the bright-line frame size corresponds exactly to the sensor size which mics out at approximately 23.9 x 35.8mm (same area that’s active in Leica film cameras, and not by accident). The eyepiece has built-in diopter adjustment (-3 to +3). How fast and accurate is rangefinder focusing? How fast and accurately can you type? It’s not as quick as high-speed autofocus, naturally, but with minimal practice it’s plenty fast. When you give up SLR viewing and focusing in favor of a rangefinder camera you gain one important feature that’s often overlooked. Because you are viewing the subject through what essentially is a window, you can see material that is not included in the frame—something you cannot do with an SLR. You can also see objects that are moving into and out of the frame. Putting this advantage to work quickly becomes second nature. Your innate sense of timing changes a bit—but you’re sure to like the benefits. The lens mount is the classic Leica M bayonet with an additional sensor for 6-bit coding. Leica M lenses from 16 to 135mm are supported. In addition to the 75mm lens Leica supplied with the sample, I used my 35mm f/2 Summicron, vintage 1970, and a 90mm f/2.8 Tele-Elmarit which I’ve owned since the mid 1980s. Both performed flawlessly. The 75mm f/2.4 Summarit-M is a rather simple design (6 elements in 4 groups) that feels good in the hand and weighs about 12.3 onces (350 grams) with the slick lenshood attached. That’s more than half the weight of the camera body, but it didn’t feel unduly heavy because of the elegant balance it affords. 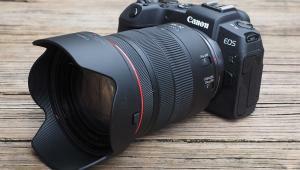 I did not test the lens exhaustively for sharpness, but I was very happy with the image quality it delivered. Bit Depth is 14-bit (DNG). Conventional 12-bit raw recording systems capture 212 or 4,096 shades of color per channel. In 14-bit recording, the number increases to 214 or 16,384 shades per channel. There are three channels (Red, Green and Blue) so the total yield in a 14-bit system is 16,384 x 16,384 x 16,384 which requires more digits to tally than my hands and feet provide. 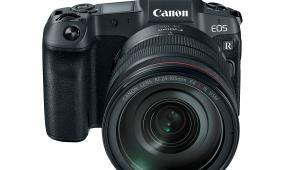 ISO is selected manually, ISO 200 through 6400 in 1/3 stop increments, by rotating the Mayan-calendar-like dial on the back of the camera body (which is where an LCD would typically be.) At first glance it looks like to might be an ISO reminder dial, a vestigial remnant from the days of ASA, DIN and film but it's actually adjustable. ISO performance is another matter. I was amazed by the high quality performance at ISO 3200 and 6400. At 6400 the noise pattern was tight and easily subdued in post-processing. Most important, the detail was excellent as can be seen in the photo above. White Balance is automatic, which matters little because the camera captures Raw DNG files exclusively. That said, I found the White Balance to be quite accurate based on the results shown when I selected As Shot from the menu in Adobe Camera Raw version 9.5.1. 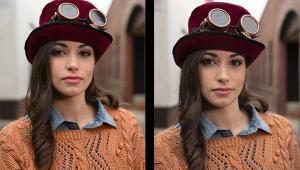 Purchase of a Leica M-D includes 90-days prepaid membership in Adobe Creative Cloud. Loading the battery and accessing the SD card is scarily similar to loading film in a Leica M4. Turn the latch on the bottom of the brass baseplate and the entire baseplate uncouples from the camera and comes off in your hand. The battery (1800 mAh) and memory card are stuffed together into one end. Needless to say, this makes changing cards or batteries very tricky when the camera is mounted on a tripod. The Leica M-D has two Exposure Modes, Manual and Aperture Priority. In Manual, the shutter can be set from 8 seconds to 1/4000 sec in half-stop increments and is capable of consecutive shooting up to 3 frames per second. In Aperture Priority, the camera automatically selects from the range of 60 sec to 1/4000. Bulb is available. I used Aperture Priority mode primarily, and found the metering to be accurate and not easily fooled. 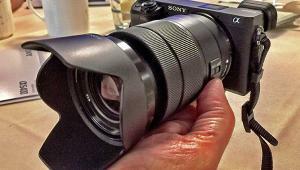 Image quality from the Leica M-D was exceptional. But you don’t buy a Leica—particularly a Leica M-D—strictly for its image quality. You buy a Leica for the entire experience. 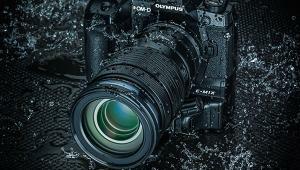 You buy it fo the luxurious feel of the high quality construction, and you buy it for the crisp precision of the nearly silent shutter. 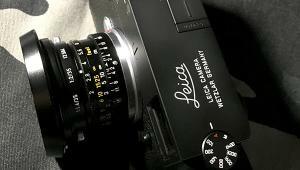 You also buy a Leica for the heft and certainty of the meticulously manufactured lenses. And if your Leica is an M-D, most likely you bought it to relive the emotions and sensation of once again shooting with a pure film camera, as well as the anticipation that comes from waiting hours or even days to review the images you just shot. 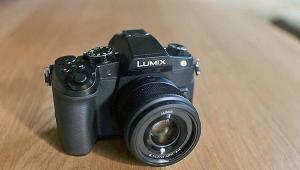 If this sounds right to you, you’ll fall in love with this camera. The Leica M-D sells for $5,995 without lens. Interestingly, the Leica M, which is essentially a Leica M-D with a 3-inch Gorilla Glass LCD and an aluminum top cover, sells for about $600 less. 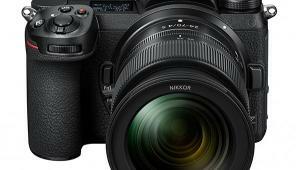 The 75mm f/2.4 Summarit-M costs $1,895. USA Limited Warranty is two years.